Shop Small is a movement — fueled by individual shoppers, business owners, and organizers who encourage shopping small all year long because they know it matters. Shopping small is more than just the act of shopping at small businesses. It’s a feeling — of walking into that corner coffee shop where they always know your order or of settling in at that tiny theater your dad used to take you. And it’s a cause — one that supports local economies and promotes vibrant, diverse communities. The Mission Hills Business Improvement District is a partner with American Express in this year’s November 24th Shop Small. 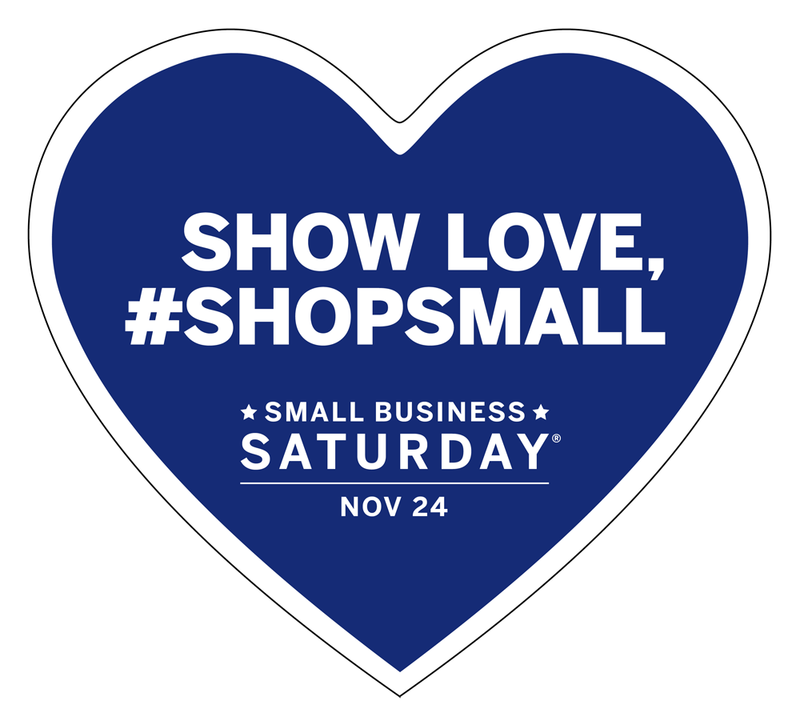 Scroll below for Free Marketing Materials to help PROMOTE YOUR BUSINESS on Small Business Saturday®! Saturday, November 24 11:00 A.M. – 4:00 P.M.
Promote Your Small Business for Free! The Mission Hills Business Improvement District is proud to support Small Business Saturday®, which unites communities to support businesses on the Saturday after Thanksgiving. It’s a holiday shopping tradition founded by American Express that celebrates all types of small businesses, from corner stores to food trucks to online boutiques. Your business is important to us, and we want to help it grow. Participating in Small Business Saturday is a great way to promote your business and to reach new customers. Take advantage of all the resources available to help you and your business get the most out of Nov 24. You can create customized marketing materials for your storefront, website, and social networks, and then download them for free in the Shop Small® Studio. Transform your store and make an impression with free merchandise, courtesy of American Express, while supplies last. Quantities are limited, so don’t wait. To get yours, apply online starting Sep 27. Terms apply. Find more inspiration and ideas for your organization. Learn how to make the most of Small Business Saturday from fellow business owners. Connect with other organizations in your community to see how you can work together on Small Business Saturday events and promotions. Or apply to become a Neighborhood Champion and rally other small businesses in your community. Join us this November 24 and celebrate Small Business Saturday with your customers.